NOTE: you@email.com should be a real email address. 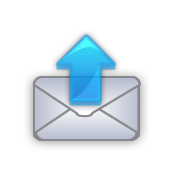 This is where the test message will be sent. You can check this in two ways. If the message did not send, check /var/log/mail.err and /var/log/mail.log for clues. You may need to tweak some of the settings in your /etc/postfix/main.cf file. If you don’t know the path for a certain program, like mailq for example, you can type which mailq to get the path. The paths I listed above are for Ubuntu 17.10. Your paths may be different. Again, which will be your friend.